Television Lady: The Green Zone. 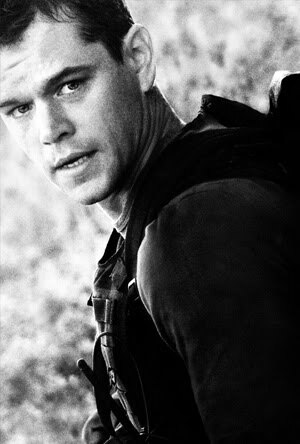 It's official: Matt Damon is the new Jack Bauer. I very much enjoy this. Good film. Not very uplifting, of course, but hey, how much entertainment can you get from a movie about a war that was based on a lie. . . ? I'm a friend of Donald's, by the way (in case you were wondering who the heck I am). I do some blogging, as well, and I know how lonely it can be (even though--let's face it--we all pretty much do this for ourselves), so I figured I'd post a few comments. It's funny that you posted a review of this film, since I recently watched it as well. The advertising, I think, was misleading, in that I distinctly had the sense that this was going to be a sort of unofficial sequel to The Bourne Ultimatum, when in fact, Green Zone is nothing like the Bourne films. That said, I thought it was a fine film, but then again, I always thought that the administration was intentionally misleading us about the reasons for invading Iraq. In that respect, the film probably simplifies more than it should, but what impressed me was how well put-together the film was. For the Love of Billy. . .
Escaping the Nazis. Head in an oven. Writing.